This week (Jan. 29-Feb. 5) is national Meat Week. We at FamilyFarmed advocate for foods, including meat, that are produced as locally as possible using sustainable, humane and fair practices. So who better to help us inform readers about why this is important than Rob Levitt, the restaurant chef turned butcher, whose store The Butcher & Larder — located in the Local Foods grocery store in Chicago — embeds those principles in how it sources and sells beef, pork, lamb and poultry. Given that FamilyFarmed’s motto is Good Food on Every Table, we couldn’t agree more. 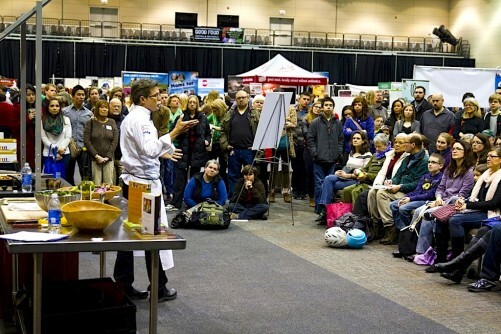 Levitt is a friend of FamilyFarmed, and he will be making a return appearance by conducting a chef demo at our Good Food Festival on Saturday, March 18 at Chicago’s UIC Forum. The Festival, our big public celebration of the rising Good Food movement, caps our three-day Good Food Festival & Conference. To learn more about the event, please click here. Every food product seems to have a day, but meat gets a whole week. So, as we mark Meat Week (Jan. 29-Feb. 5), we need to explain what leading Chicago butcher Rob Levitt means when he says we should eat less meat… but better meat. The first part of the equation is portion control, said Levitt, who started his store, The Butcher & Larder, independently in 2011 and then moved it inside the Local Foods grocery store in Chicago’s Bucktown neighborhood when it opened in 2015. “It’s a pretty commonly discussed thing these days that people are just accustomed to portions that are larger than necessary. There’s a lot of reasons why that happened, but the industrialization of food led to cheaper meat, which meant people could eat more… So if you get a steak at the supermarket that’s 27 ounces and it’s $8, then that over time became a portion size, and that’s crazy,” said Levitt. 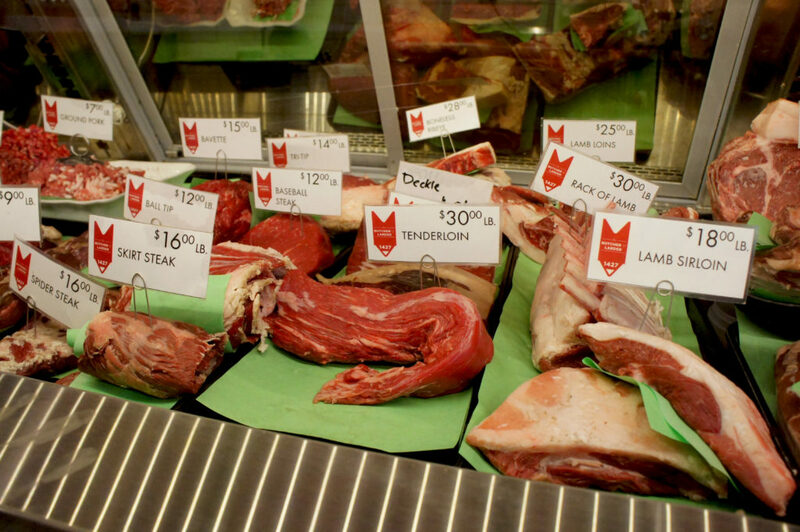 The problem, Levitt said, is that factory-farmed meat is less satisfying than the sustainably produced, largely pasture-raised meat — from Midwestern producers such as Gunthorp, La Pryor, Kilgus and Ferndale — that is featured at The Butcher & Larder. That’s why the philosophy of “eat less but better” can help make Good Meat accessible for most people, even those on a budget. 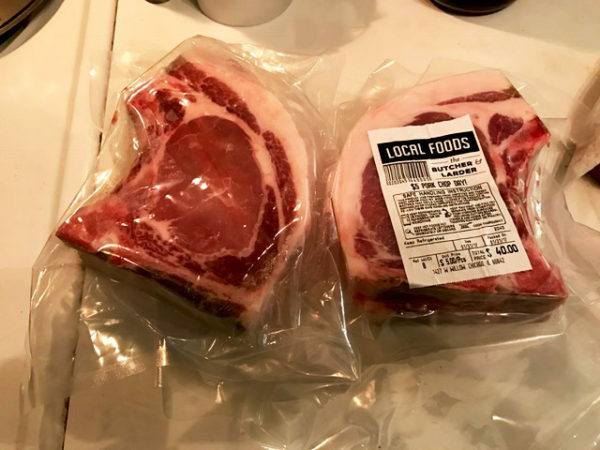 Walk into Local Foods and your first glance at the prices in The Butcher & Larder’s meat case might make you blink a little, especially if you are used to shopping in a big-box grocery store. But look closer and you will see that many of the cuts are at least half the price, and often much less, than restaurant cuts such as ribeye and New York strip. 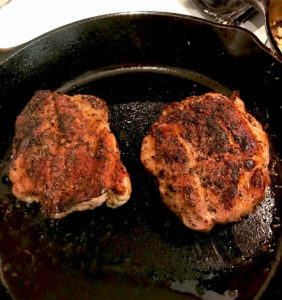 When you divide again for smaller portion size, then Good Meat becomes more in (and on) your range. 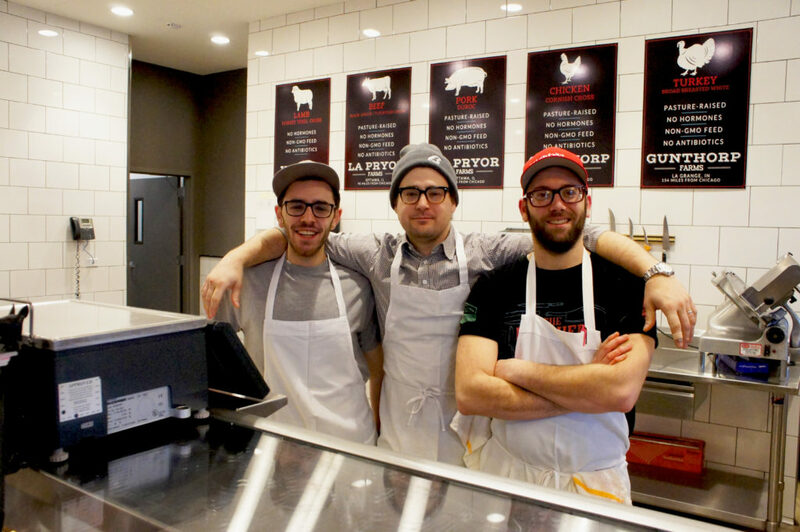 The Butcher & Larder is customer-oriented to the max, and Levitt and his team take the time to explain what some of the less familiar cuts (such as chuck flap, bavette and baseball steak) are, why they are great values, and how to prepare them. 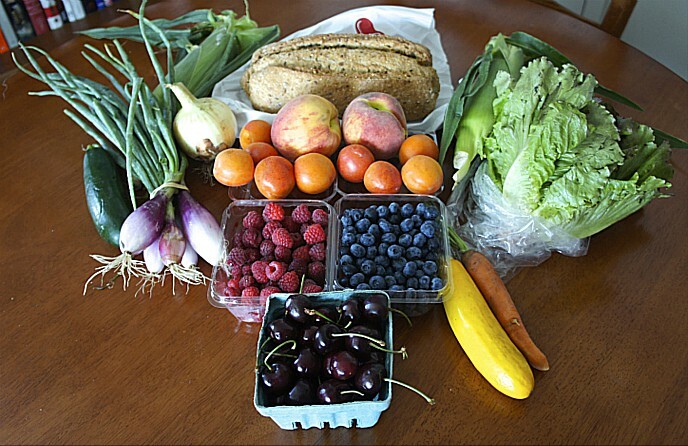 (The latter is helped when your shop is in the middle of a grocery store than also features locally and sustainably produced vegetables, fruits, sauces and condiments). 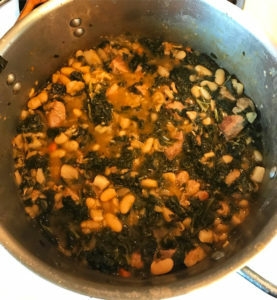 There are also so many delicious ways of stretching your food budget by using meat as an ingredient in soups, stews, chilis, stir fries, casseroles and other preparations — which also have the benefit, for people with busy lives, of being one-pot dishes that can feed you and your family for days. 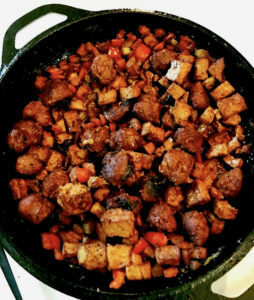 Levitt is an advocate of using a slow cooker (often referred to by the Rival brand name Crock-Pot) as an easy way to make delicious dishes that go a long way. The rising interest among consumers in Good Meat has been abetted by the fact that many in the science and medical community have backed off on a decades-long campaign that said eating meat (especially red meat) and animal fats is dangerous. “At one point they said animal fats are bad for you. So you should eat margarine. OK, we learned that that was wrong. They said eating meat is bad for you. Eating meat isn’t bad for you. It’s the meat you eat. They said you shouldn’t grill, then actually grilling is good for you. There’s always something,” Levitt said. This entry was posted in Beef, Butchering, Chef advocacy, Family Farms, Farm businesses, Farm to table dining, Food and health, Food Artisans, Food Entrepreneurs, Good Food business development, Good Food Festivals, Good Meat, Grass-fed beef, Livestock farming, Local Food, Meat, Poultry, Small Farmers, Sustainable food cooking and tagged butchers, FamilyFarmed, Good Food Festival, Good Food Festival & Conference, Good Meat, Local Foods Chicago, meat, meat portion control, Rob Levitt, stretching your meat budget, sustainable livestock, sustainable meat production, The Butcher & Larder. Bookmark the permalink.